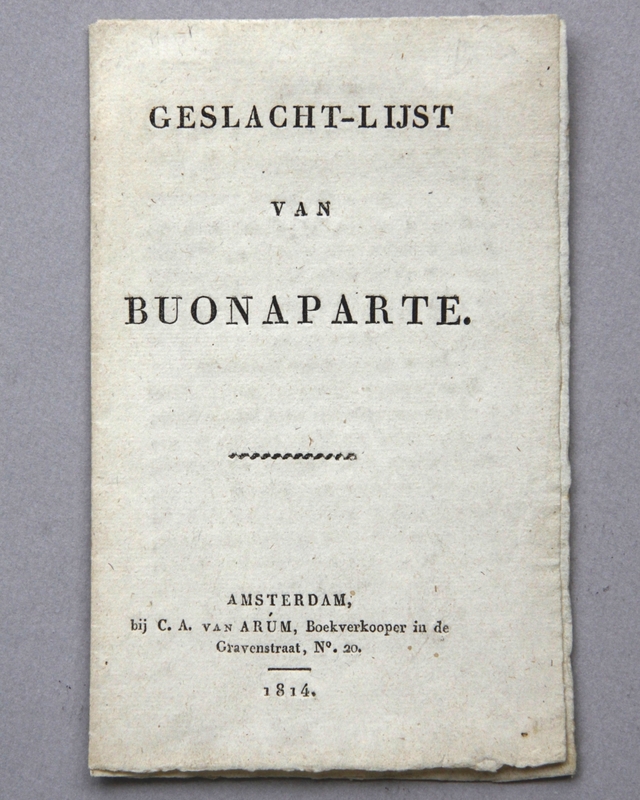 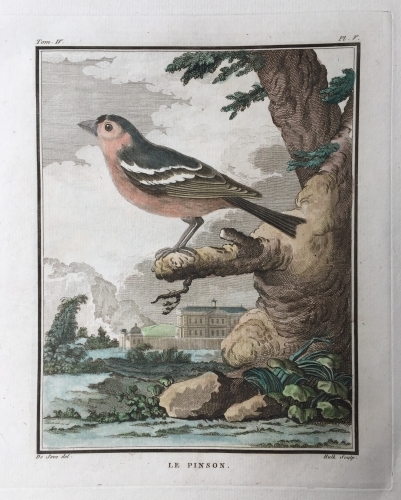 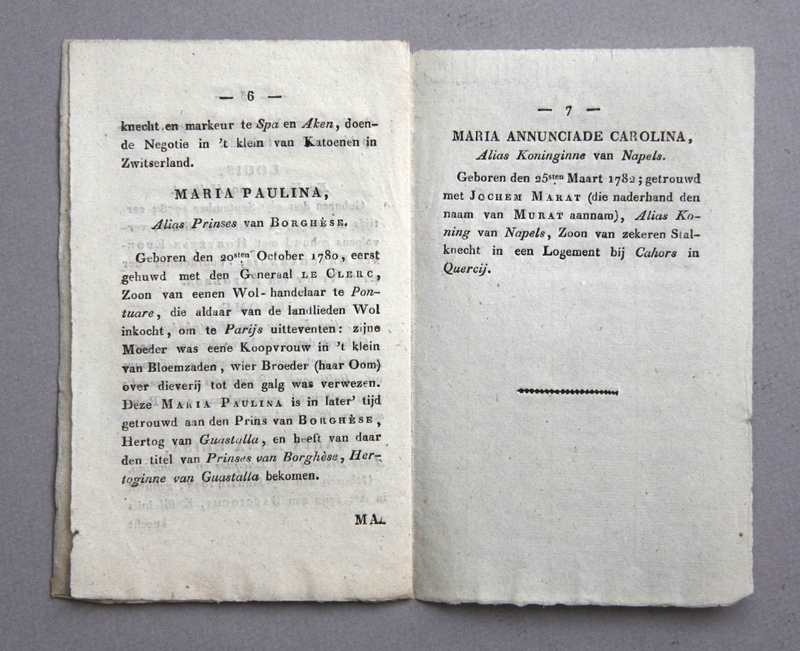 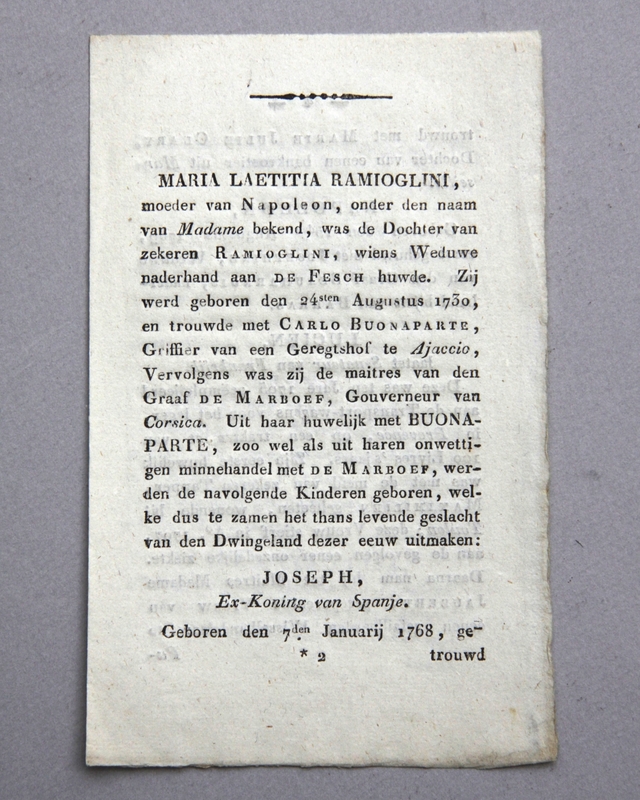 ‘Geslachtlijst van Buonaparte’ published in Amsterdam by C.A. 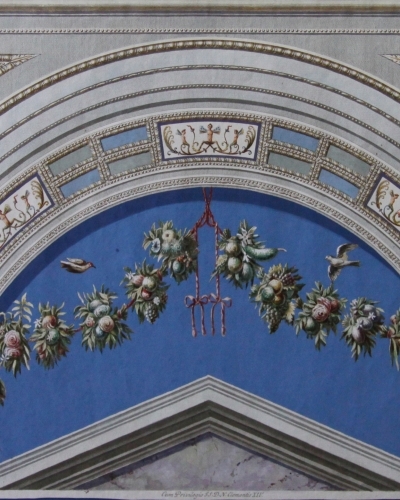 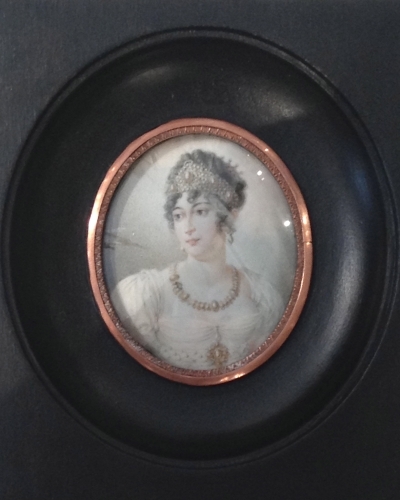 Arum in 1814. 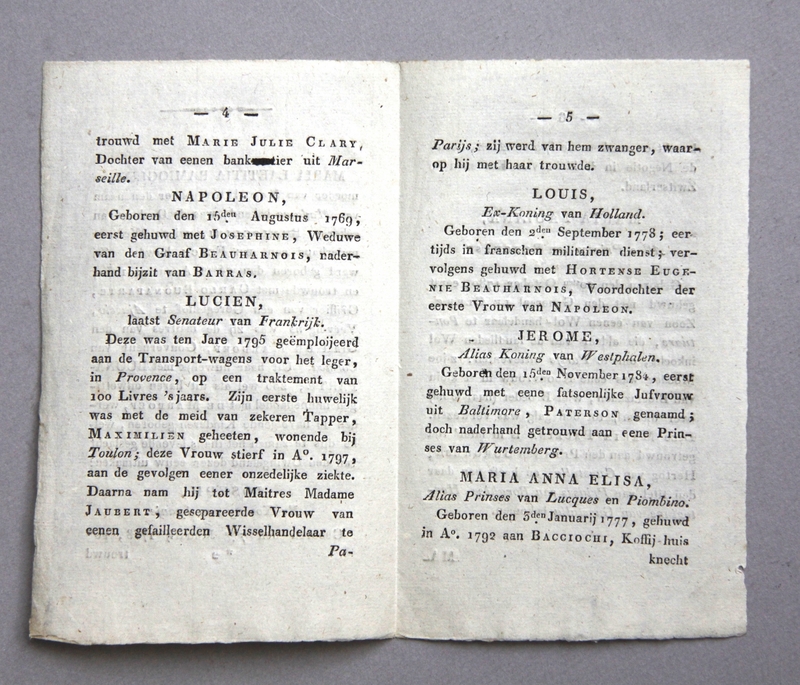 A brief –slightly satirical- genealogical overview in Dutch of Napoleon’s family, printed on two folded sheets of paper (total 8 pages).